Want to be hired by Allan? 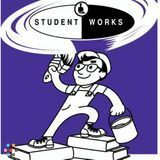 Student Works Painting is looking for students and young adults to join our painting team in VANCOUVER for this upcoming 2015 season (March - August). This past year the Vancouver franchise was one of the top franchises in Canada. We are looking for individuals that are highly motivated, reliable, independent, enjoy working outdoors and would like to be paid based on performance. We specialize in both Interior & Exterior, Commercial & Residential painting projects. If this sounds interesting, please continue. We are looking for FULL TIME employees to work Monday -- Friday (with the odd weekend required). This job is ideal for college/university students or young adults looking for summer work. The position can be challenging, however those who develop the necessary skills are highly rewarded. This job is best suited for people that want to work outdoors and get some exercise at the same time. Days can be long (8am -- 5pm), especially while working in the sun. Experience is not necessary, as training will be provided, however, any experience is beneficial. You will be paid based on performance (piecework), approx: $12 - $30 per hour. Start Date: Mid March -- Early May. *Must have reliable transportation to and from Vancouver and job sites.